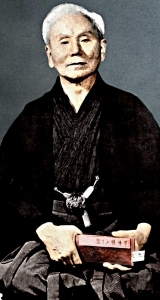 Niju kun or the twenty precepts of karate where formulated by the father of modern karate Gichin Funakoshi before he and his students founded the Nihon Karate Koyokai, or Japanese Karate Association in May of 1949. Over the years there have been many attempts to translate the twenty precepts of karate into English, with many variations put forward as to what the literal translation actually is. However, I like the translation put forward below which I obtained from the Japanese Karate Association, who after all, are the ones in the best position to speak on these principles. I won’t go into any great detail on the precepts in this post as I could literally write a seperate post on each precept which is my intention in the future.